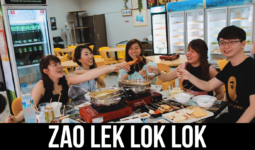 Been through more than half a century, Lai Huat really came a long way. Lim Song Lai (founder) initially started selling from a pushcart in 1951. 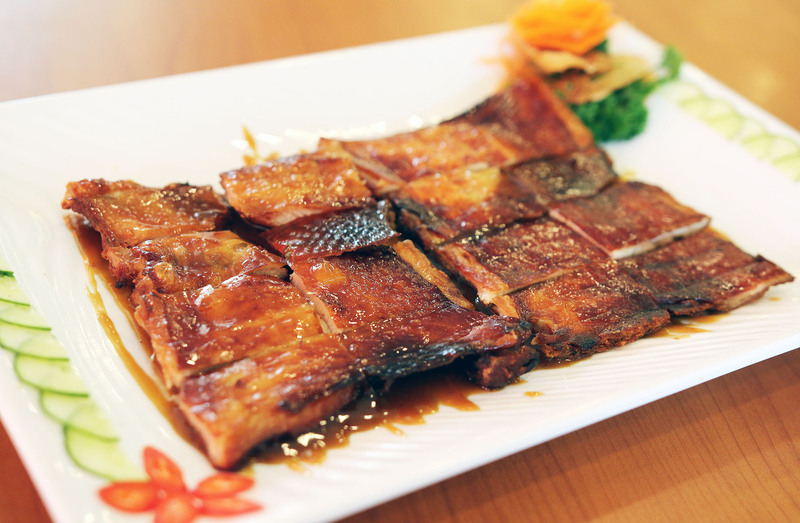 Thereafter, he opened Lai Huat Seafood at Shiek Maraseh Lane. The elder son inherited the eatery and moved to Horne Road. The one that operated Old Lai Huat at Rangoon Road is managed by the elder son’s son. 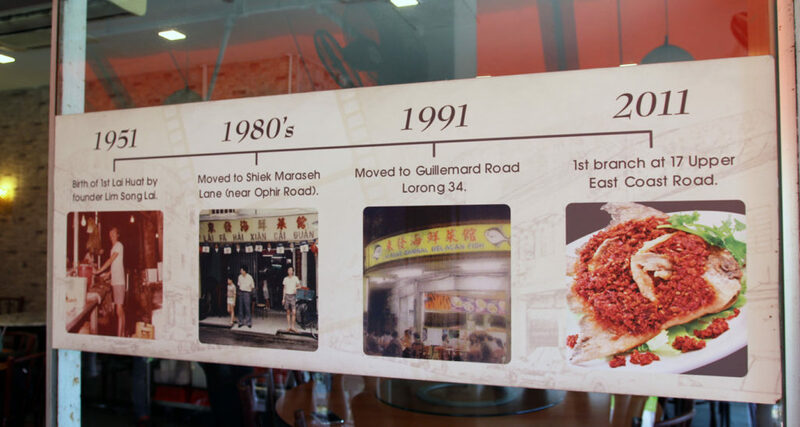 Lim Song Lai’s younger son opened another Lai Huat at Guillemard Road and his son, Patrick Lim, is the one who opened the latest Lai Huat at Siglap. Confusing? Let our taste buds do the understanding! 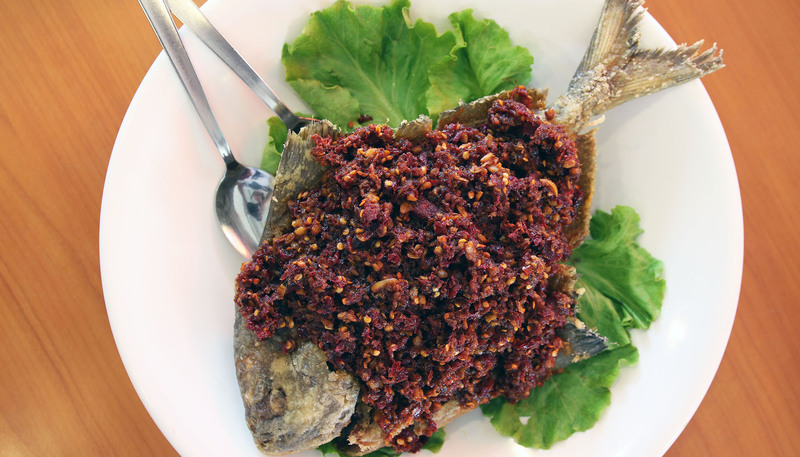 Lai Huat has been well-known for its Sambal Fish! 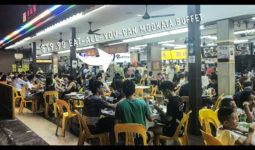 Patrick Lim actually changed the recipe to suit the health-conscious crowd by reducing the oil content while having strong prawn paste flavour. Nonetheless, its homemade sambal is still the bomb! 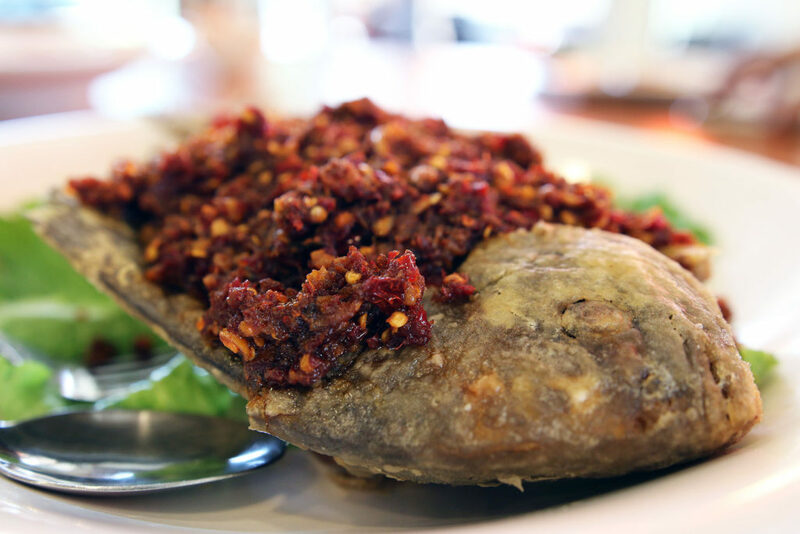 Beneath the crispy fish skin lies sweet white pomfret flesh which really satisfy my palate together with the spicy sambal! You have heard of crispy Peking duck, but have you heard of the chicken version? 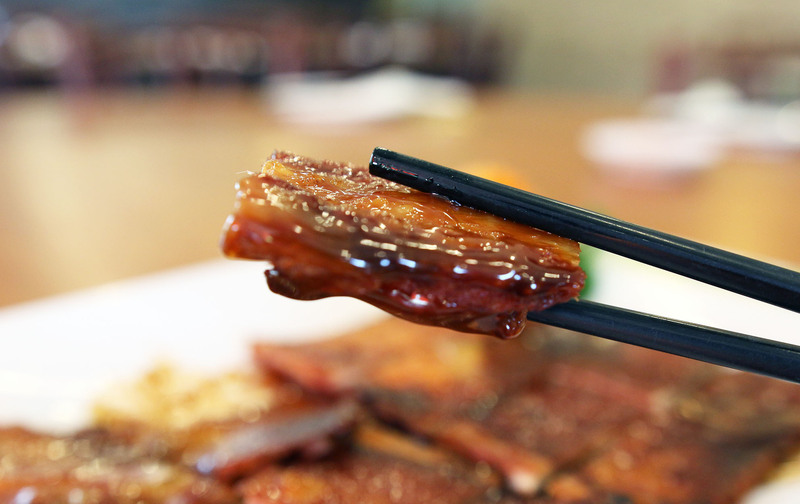 Just like Peking duck, the skin is extremely crispy, complementing the thinly sliced meat. This is like “Sheng Mian”, just that the crispy noodle is Mee Sua (rice vermicelli). 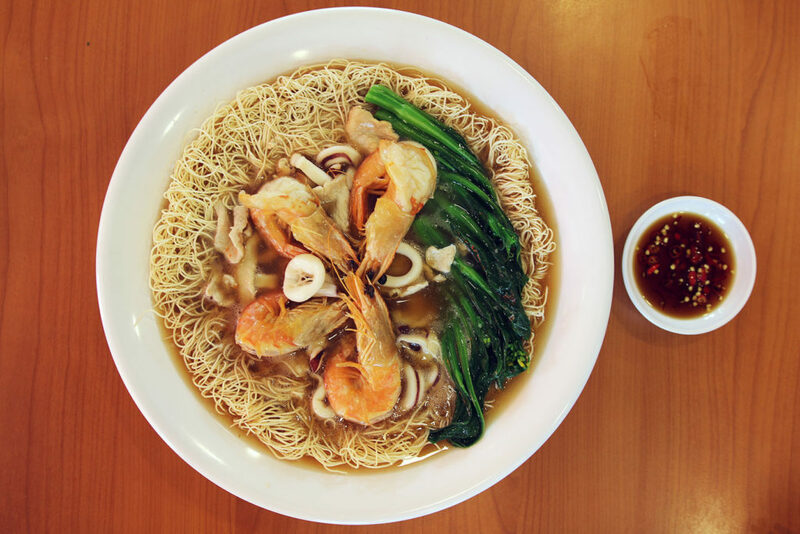 Other than this special modification, Lai Huat’s mee sua already comes with a slight salty flavour which could be tasted while absorbing the flavour from the gravy too. 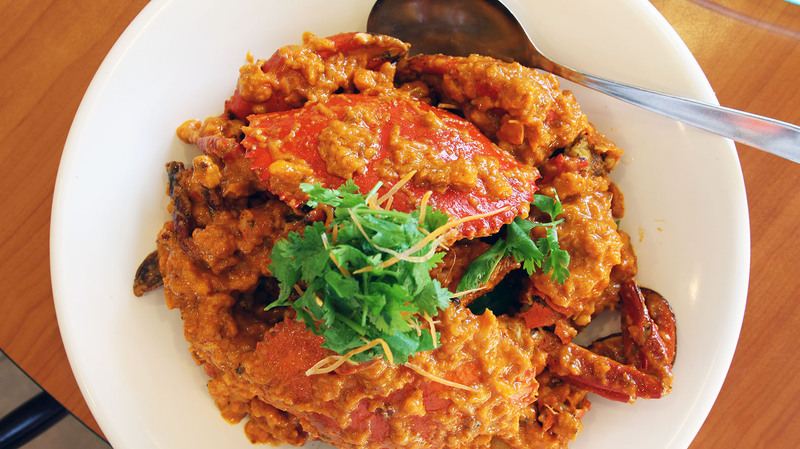 After much research and experiment, Lai huat came out with its latest new dish – Otah Crabs! This is best eaten with rice as the flavour is quite solid. Lai huat mashed fish meat and turn them into a paste for the crabs. This is really my first time seeing such combination! 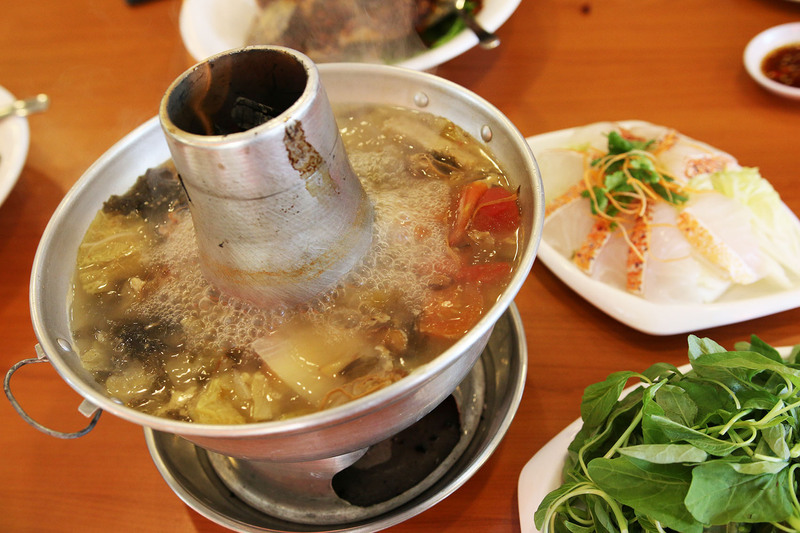 Lai Huat’s fish head steamboat is based with tomato, dry cuttlefish, salted fish and red garoupa fish head. Fish slices are actually served separately. 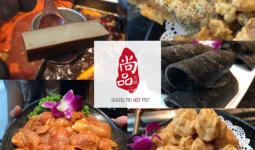 With the salted fish flavour and zero MSG (monosodium glutamate), feel free to indulge on this pot of quality ingredients! I love the fact that I can spam hot piping soup without the need to gulp down cups of water thereafter since there is no MSG in it! Just from these few dishes, I am ever grateful to experience such innovative cuisine done by Patrick Lim. Being an experimental chef himself, I’m actually looking forward for more of such new modified dishes!